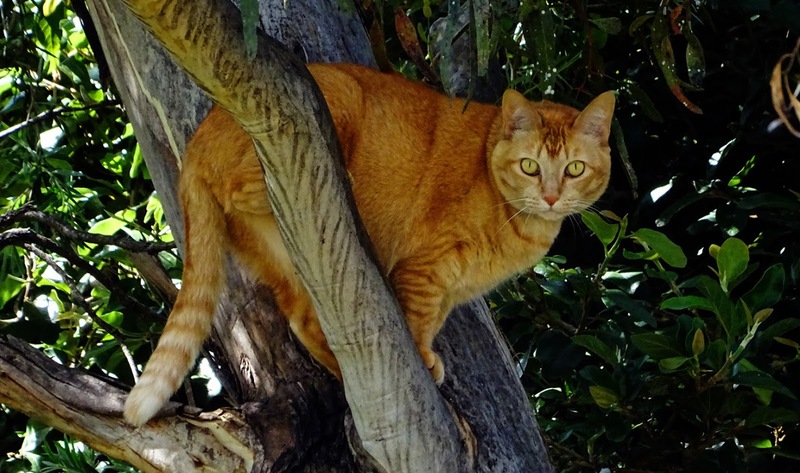 A neighbour's cat climbing trees... Firefighters were not needed for a rescue! Hello, what a great shot of the kitty. It is pretty. Thank you so much for linking up and sharing this post. Also, thanks for the nice comment and visit. Happy Saturday, enjoy your weekend! Very creative photo of a beautiful kitty! WOW! Awesome pic! The colors are beautiful!